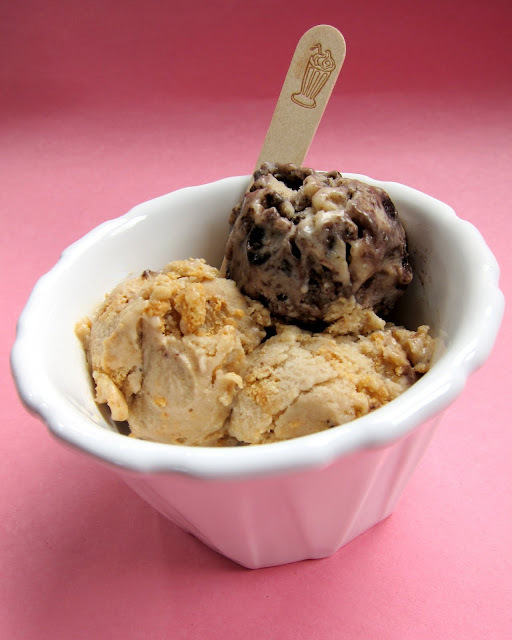 This is the easiest ice cream recipe I’ve ever made. I couldn’t believe that it doesn’t require an ice cream maker and only uses one ingredient – a banana! 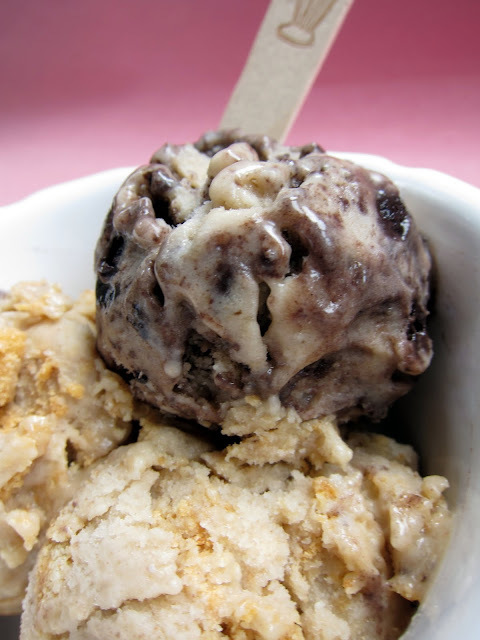 This ice cream recipe is all the rage online. I finally decided that I needed to check it out for myself. It was as easy as promised. I sliced up 4 bananas, popped them in the freezer for a couple of hours and then blended them up in my food processor. It only took a few minutes for a wonderfully creamy ice cream texture to emerge. The ice cream tasted great on its own, but I jazzed ours up with some crushed Oreos and Nutter Butters. You could also mix in peanut butter, cocoa powder, honey, Nutella – anything that you like! Delicious! This was a great guilt-free way to beat the heat! Peel bananas and slice into 1/2 inch pieces. Freeze for 1-2 hours. Place the banana slices in a food processor. Puree banana slices, scraping down the bowl as needed, until the mixture is creamy and smooth. Mix in any of the optional add-ins desired and puree. Serve immediately for soft-serve ice cream or place in the freezer for a few hours for a harder ice cream. Leaving it plain sure makes it all natural and that could be diet friendly to some of us.